The Northern Lights--Aurora Borealis--nature's fantastic light show in the night sky. While on a camping trip to the Minnesota-Canada border, I witnessed a fantastic display of the Northern Lights in the late hours of July 14, 2012. The constellation Ursa Major (the Big Dipper) is visible in all the images--can you find it? 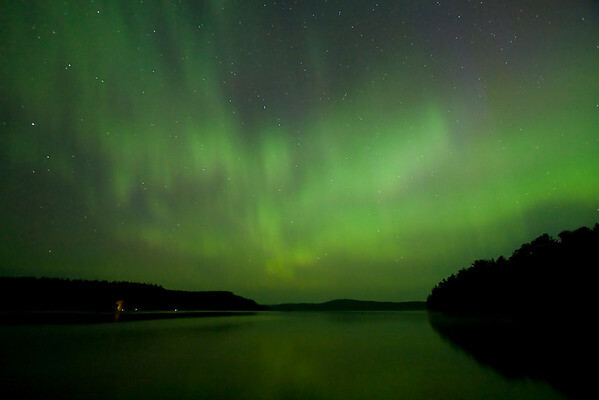 #4: Northern Lights over North Fowl Lake, Canada; July 14, 2012.